We’re kicking off National Poetry Month a few days early with an episode with Erika Ayón! Rachelle and Erika talk about Los Angeles, the color and fruit orange, and migration. Tune in! Erika Ayón emigrated from Mexico when she was five years old and grew up in South Central, Los Angeles. She attended UCLA and graduated with a B.A. in English. In 2009 she was selected as a PEN Emerging Voices Fellow. In 2014 her poem “Hibiscus Skies,” was selected as a top ten poem from the Poetry in the Windows VI project sponsored by the Arroyo Arts Collective. Erika has taught poetry to middle and high school students across Los Angeles. She was a 2016-2017 Community Literature Initiative Scholar. Her debut collection of poetry Orange Lady was published by World Stage Press in March 2018. Available at http://www.worldstagepress.org/product/orange-lady. Erika currently resides in the San Fernando Valley where she lives with her husband and two cats. Las Peregrinas was an idea first birthed by Yaccaira Salvatierra and co-organized with Xochitl-Julisa Bermejo. They wanted California women’s voices to be in conversation with other border states and communities as a way to share and heal. Each of the four peregrinas honors her antepasados and the border in her poetry and together they share a reverence for those who have gone before them. Xochitl-Julisa Bermejo, a first-generation Chicana, is the author of Posada: Offerings of Witness and Refuge (Sundress Publications 2016). A former Steinbeck Fellow, Poets & Writers California Writers Exchange winner and Barbara Deming Memorial Fund grantee, she’s received residencies from Hedgebrook, Ragdale, National Parks Arts Foundation and Poetry Foundation. Her work is published in Acentos Review, CALYX, crazyhorse, and American Poetry Review among others. A dramatization of her poem “Our Lady of the Water Gallons,” directed by Jesús Salvador Treviño, can be viewed at latinopia.com. She is a cofounder of Women Who Submit and a member of Macondo Writers’ Workshop. Marisol Baca is the author of Tremor (Three Mile Harbor Press). She has been published in Narrative Northeast, Riverlit, Shadowed: An Anthology of Women Writers, Acentos Review, among other publications. Marisol won the Andres Montoya poetry scholarship prize. She received her Master of Fine Arts from Cornell University where she won the Robert Chasen poetry award for her poem, Revelato. Currently, Marisol is an English professor at Fresno City College. Yaccaira Salvatierra’s poems have appeared in Huizache, Diálogo, Puerto del Sol, and Rattleamong others. She is a VONA alumna, the recipient of the Dorrit Sibley Award for achievement in poetry, and the 2015 winner of the Puerto del Sol Poetry Prize. She has been nominated for a Pushcart Prize and a Best of the Net. An educator and art instructor, she lives in San José, California with her two sons. Vanessa Angélica Villarreal was born in the Rio Grande Valley borderlands to formerly undocumented Mexican immigrants. Her work has recently appeared in the Academy of American Poets Poem-a-Day feature, Buzzfeed Reader, Pinwheel, Epiphany, Southern Indiana Review, Apogee, Poor Claudia, PBS Newshour and elsewhere. She is the author of the collection Beast Meridian (Noemi Press, Akrilica Series, 2017) and is currently pursuing her doctorate in English Literature and Creative Writing at the University of Southern California in Los Angeles, where she is raising her son with the help of a loyal dog. Episode #125: We’re rebooting the podcast w/ new podcast producer and host, Muriel Leung! Thank you for your patience as we’re undergoing major changes here at The Blood-Jet Writing Hour. First, our biggest and most important piece of news: we’re incredibly happy to announce that poet and author of BONE CONFETTI, Muriel Leung, will be joining Rachelle as the new co-host and producer of the show. We’re so excited to have Muriel be a part of The Blood-Jet Writing Hour! Next, the podcast will get back on a regular schedule, releasing episodes monthly. Upcoming guest poets include: Kazumi Chin, Michelle Lin, Erika Ayón and more! And finally, we’re launching our Patreon campaign to keep the show going and to cover costs, such as SoundCloud file hosting, website domain fees, podcasting equipment, etc. There are tons of benefits, which include a Patron-only feed with writing and podcasting tips (this starts at just $1 a month! ); signed copies of Rachelle and Muriel’s poetry collections; and manuscript consultations. Help launch us into our 10th (!!!) year of podcasting and highlighting underrepresented writers and poets! 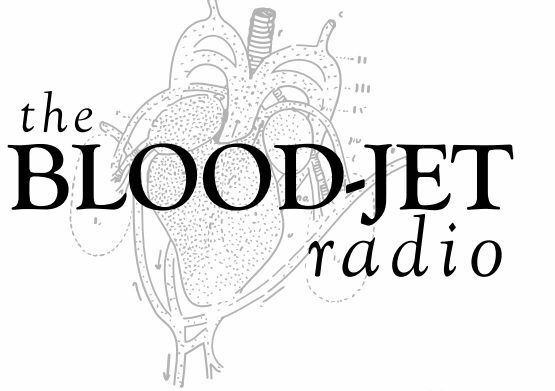 That’s it for now — lots of exciting episodes will be soon hitting your podcast feed — and as always you can follow us on Twitter, Facebook and Instagram (@thebloodjet)! Episode #118 with poet Angela Peñaredondo, author of ALL THINGS LOSE THOUSANDS OF TIMES! Born in Iloilo City, Philippines, Angela Peñaredondo is a Pilipinx/Pin@y poet and artist (on other days, she identifies as a usual ghost, comet or part-time animal) . He book, All Things Lose Thousands of Times is the winner of the Hillary Gravendyk Poetry Prize. She/Siya is author of the chapbook,Maroon (Jamii Publications). Her work has appeared or is forthcoming in AAWW’s The Margins, Four Way Review, Cream City Review, Southern Humanities Review, Dusie and elsewhere. She/Siya is a VONA/Voices of our Nations Art fello, a recipient of a University of California Institute for Research in the Arts Grant, Gluck Program of the Arts Fellowship, Naropa University’s Zora Neal Hurston Award, Squaw Valley Writers Fellowship and Fishtrap Fellowship. She/Siya has received scholarships from Tin House, Split This Rock, Dzanc Books International Literary Program and others. Angela resides in Southern California, drifiting between deserts, beaches, lowly cities and socially engineered suburbs. This is no place to live alone. This simple statement is the cornerstone of The Belle Mar by Katie Bickham. Set in an old Louisiana plantation house that has stood from 1811 through the present day, this collection links generations of characters across time. Through a brilliant use of atmosphere, tone, language, and visceral imagery, Bickham enables readers to grasp the subtle complexities of a brutal world that masqueraded itself as genteel. Having spent four months of “ghosting” to her room and copying pages at night, the granddaughter “had nearly smuggled out every last line / of Grandfather’s abridged Odyssey.” This carefully selected choice of text demonstrates Bickham’s strong command of literary devices such as allusion. Could the granddaughter be presupposing a future for three slaves by teaching them an epic poem about a perilous journey home, and how trickery could be used to outwit a cyclops? and you will feed them or they’ll swallow you. considering those she’s known before” (“Far Swamp,” 1825). The language of The Belle Mar stays true to its context, sparse dialogue and tight descriptions upholding the truth of these characters’ lives. The title of each poem is based on the “purpose” of each room. Figurative language displays the conventions of Louisiana life: dried sticks of cane, iced tea, summer storms, the river and floods, a “graying maid,” all in support of themes of family, nature, and death. One could argue that the characters of The Belle Mar are figures representing that larger slave narrative that is familiar to us, yet Bickham imbues each resident of this house with little touches of vibrant humanity that makes them something more than figures. Perhaps it’s the way Violet, standing in the kitchen, “feels the coming storm in her knees, / less pain than heaviness—the body’s way / of speaking with the earth” (“Kitchen, 1845”). Maybe it’s the way that teacher of slaves, Penelope, can “sprint the pecan rows”. Or likely it’s Old Israel, who chooses to hang himself rather than face an unknown future as a newly-freed slave, “fought them / when they tried to carry him… / spat and slapped when they tried to say prayers on him” (“Sugar House,” 1864). into raising the house from this ruin. sweeping out of rooms just as I light lamps. 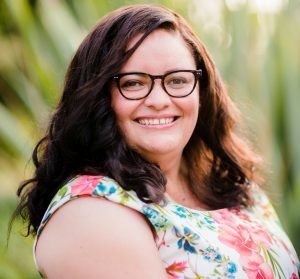 Heather Buchanan is the owner of Aquarius Press, now celebrating its 15th year. Willow Books, its literary division, develops, publishes, and promotes writers typically underrepresented in the field; recent collaborations include the publication of Cave Canem XII. A graduate of Wayne State University and the University of Michigan-Dearborn respectively, Heather has taught Composition, English, African American Literature, and World Literature at several colleges and universities. In addition to teaching, Heather presents on arts and literature at conferences across the country, most recently for the Ragdale Foundation. She has directed many events and conferences, including LitFest Chicago, Midwest Poets & Writers Conference, and the Idlewild Writers Conference. A Poet-in-Residence emeritus for the Detroit Public Library system, Heather also served on the Board of Governors for UM-Dearborn’s College of Arts & Sciences Affiliate and was the COO of the Wayne County Council for Arts, History & Humanities. A musician, she is currently working on a World War I centennial book and music project honoring the Harlem Hellfighters. She has been a reviewer for BlogCritics and MyShelf and has blogged for publications such as Poets & Writers. Muriel Leung is from Queens, NY. Her writing can be found or is forthcoming inThe Collagist, Fairy Tale Review, Ghost Proposal, Jellyfish Magazine, inter|rupture, and others. 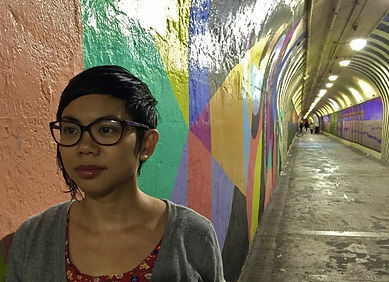 She is a recipient of a Kundiman fellowship and is a regular contributor to The Blood–Jet Writing Hour poetry podcast. She is also a Poetry Co-Editor for Apogee Journal. She will attend USC’s PhD program in Creative and Literature in the fall. Her first book Bone Confetti is forthcoming from Noemi Press in October 2016. Grace Shuyi Liew is the author of two poetry chapbooks, Prop (Ahsahta) andBook of Interludes (Anomalous). Her work was chosen by Vancouver Poetry House as one of “Ten Best Poems of 2015.” Her poetry has been published inWest Branch, cream city review, Puerto del Sol, and others, and she is a contributing editor for Waxwing. Grace grew up all over Malaysia and currently resides in Baton Rouge, Louisiana. Victoria Chang’s The Boss (McSweeney’s 2013) is a virtuosic and intimate meditation on power in its many forms. The Boss, winner of the PEN Center Literary Award as well as a California Book Award, is as polished and self-assured as a third book should be. While there are many fine poems worth discussing in this collection, I would like to focus on the poems titled after the paintings of American artist Edward Hopper (1882 – 1962), which make up nearly a quarter of the collection and comprise a significant part of its structural frame. The readers become those gazing back at the spreadsheet of office windows, alongside the speaker, as if it were in our power to sum the workers up, average them – delete them. “They are waiting on us – what will we do?” the poem seems to ask. The landscape of power that Chang presents in The Boss is, at times, quite grim; however, her playfulness and prosodic virtuosity reminds us that we need not live quietly desperate. While Hopper may have given us windows from which to gaze out, Chang’s poems give us the hammer to break through.